What better way to promote your little girl to a Sister then to do so with this personalized Sister Frame. 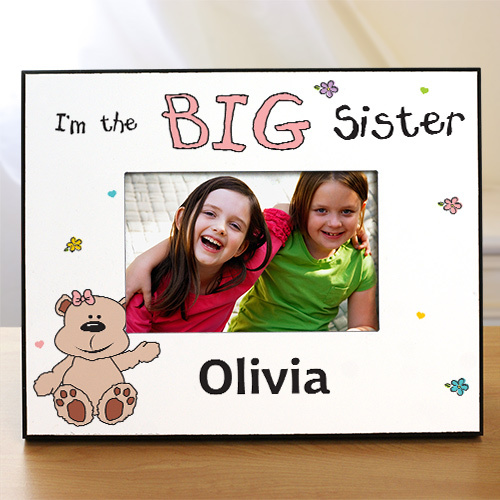 You may choose to display this frame for a big, middle or little sister and add her name. Our frames make for great s from baby so she can display their first picture together. Additional Details Shop GiftsForYouNow for more adorable big sister gifts from baby to help your daughter feel loved by your newborn.